Gemstones are found in various colours and it is a well-known fact. Variety of gemstones exists in red, blue, green, yellow, white, black and various other colours. 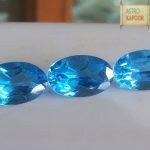 In this brief description, we will know about the important blue gemstones. The sapphire exists in the form of blue sapphire. Its power lies in the rays it emits, the color of the sky, and the blue light of the heavens. It has the highest light of all blue stones. This gem, matter from earth, transformed by the blue ray. Its deep, penetrating light emits rays of pure devotion, which speak to us of cosmic infinity, higher mystery, and infinite reality. It has the power to transform, to life our soul into higher realms. The sapphire has been used in the performance of higher mysteries. Its scared beauty inspired religious devotion, inner devotion and faith. 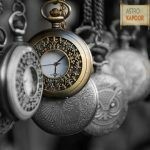 It is a great meditation tool which has been used by yogis, healers and saints. The blue sapphire gives excellent benefit to the throat center, which is the center of purity, where thoughts and words must be cleansed. The throat is the gateway to the spiritual aspect of our being our devotion and mystical nature. The sapphire is manifested in a variety of blue shades from light to deep indigo. 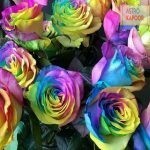 The lighter shades create mood of serene optimism and are good for meditation. The star sapphire group is not as powerful but aids in creating and manifesting thoughts of devotion. This gem is illuminated with a point of light caused during the cutting. Lapis has a great healing, curative, and purifying properties when used on the body. Its deep blue rays penetrate knots and congested areas of the throat, release them and open the passage for the sacred word. This is a gem of contemplation and meditation and inspires one toward eternal so that one may know what love is, immortality and God are one. 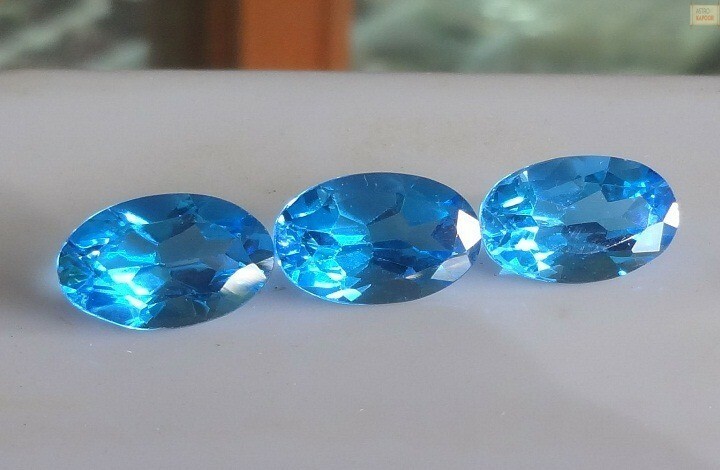 The blue topaz is a beautiful, brilliant, translucent gem. It has deep blue electric light blue ray. It is a calming and inspiring stone. 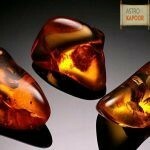 Its magic lies in the powerful properties of magnetism, which transmit and receive much like tourmaline and amber. Its message of eternity, in addition to the electrical power has a powerful stone of radiant light. It is a great cleanser and purifier. The blue topaz could b of great benefit to creative artists for they could use it to imbube themselves with the inspiration of its rays before beginning a new work. Sodalite is a deep blue stone still in process of evolution. It resembles lapis lazuli, but on a lower level of function. It is too dense to be considered a meditative or reflective stone. It has been used as jewelry and is also carved into object. Its power can b amplified when used in conjunction with another gem. It aids in balancing the glands that control our metabolism. Because this stone is reasonably priced, we may wish to use it to work on the throat chakra.